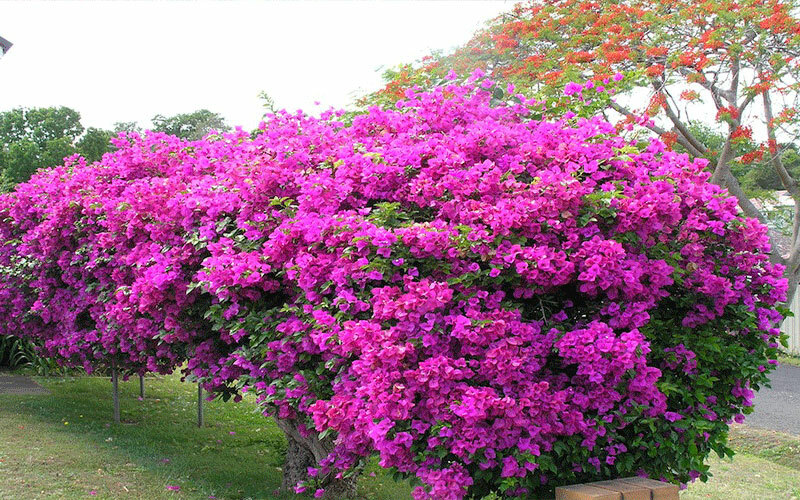 This is the queen of large flowering shrubs, a fabulous plant that can be grown as a vine shrub or a shrubby vine or even as a stunning Tree. In all cases, the flower show is spectacular. 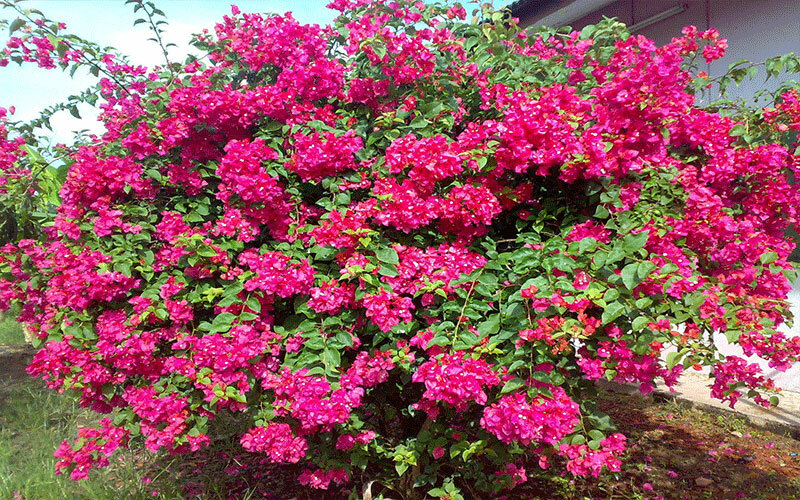 Available in a rainbow of color choices red, pink, purple, white, orange, yellow, and many shades in between this is one of the best Florida shrubs for year round color especially in winter, when less things are generally in bloom. Yes it has thorns. And they can be vicious. Plant, but choosing the right area for planting and wearing protective clothing and gloves when you handle this plant makes all the difference. 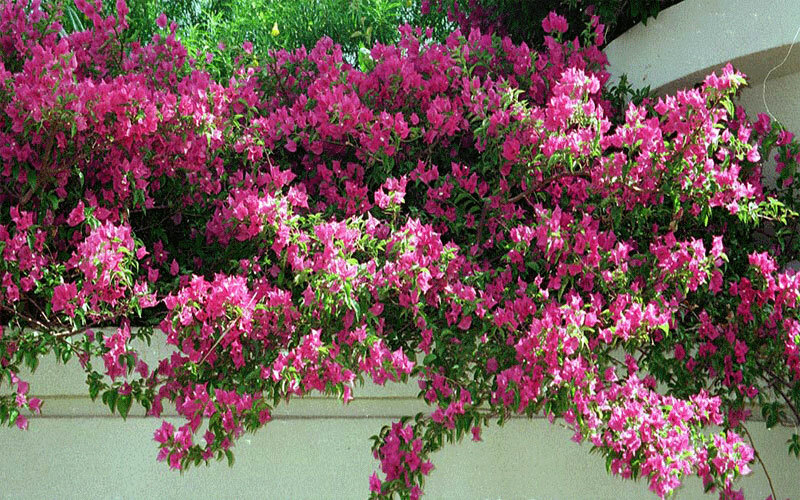 Sun and Soil Requirements for Bougainvillea: Vines will often blossom most profusely if grown in full sun; however, they will tolerate light shade and may even crave it in especially hot climates. Grow them in a well-drained soil. 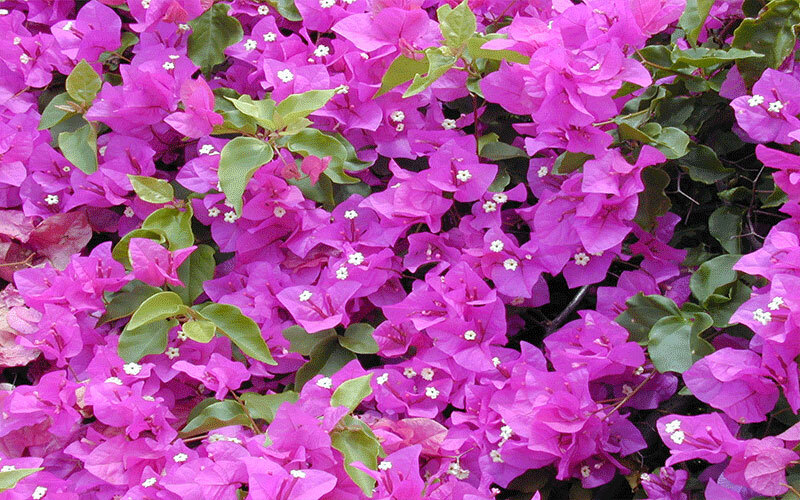 Bougainvillea plants are often seen growing against walls in hot climates, such as in the Mediterranean or in Southern California. However, these vines often need help in climbing, so provide a trellis to train them. In fact, if unsupported, they may just sprawl across the ground in some cases and function as a ground-cover. This plant is a fast grower you can keep somewhere between 6 and 10 feet tall and wide. The plant can grow 20 feet, in case you want to let it grow huge. Full sun, full sun, full sun.